Product categories of Pneumatic Adjusting Valve, we are specialized manufacturers from China, Pneumatic Adjusting Valve, Flange Type Pneumatic Adjustable Valve suppliers/factory, wholesale high-quality products of Pneumatic Controlling Regulating Valve R & D and manufacturing, we have the perfect after-sales service and technical support. Look forward to your cooperation! 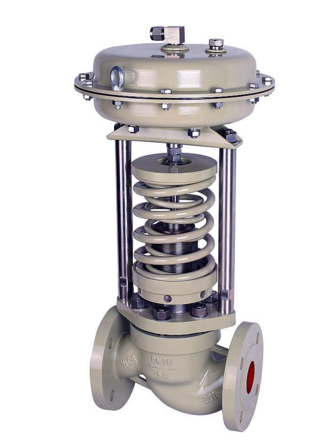 The use and characteristics of Pneumatic Adjusting Valve is a kind of right-angled rotary structure. It is used with the valve positioner to achieve proportional adjustment. The V-type valve core is most suitable for all kinds of adjustment occasions. It has a large rated flow coefficient and large adjustable ratio. , Good sealing effect, sensitive adjustment performance, small size, can be installed vertically. Suitable for controlling gases, steam, liquids and other media.